Learn how you can migrate data from IBM® Rational® DOORS® to IBM Rational DOORS Next Generation. This helpful video gets you up to speed fast on the basic functionality and terminology of Rational DOORS Next Generation. Learn more about IBM Rational DOORS Next Generation with this informative video playlist. Find a more detailed overview on managing versions of requirements with this video playlist. 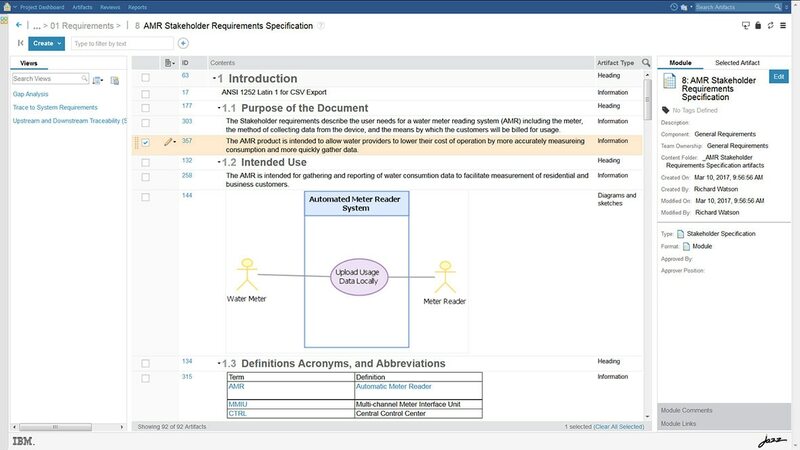 Go from error-prone manual methods to a requirements management system that maintains traceability throughout the lifecycle. Bring value to regulated IT and product development projects—and establish an effective requirements management approach. Gain a clear understanding of the advantages of using IBM Rational DOORS Next Generation over conventional office tools. Learn the basics and hit the highlights with this data sheet for Rational DOORS Next Generation.